Length 1/4 – 1/2 in. 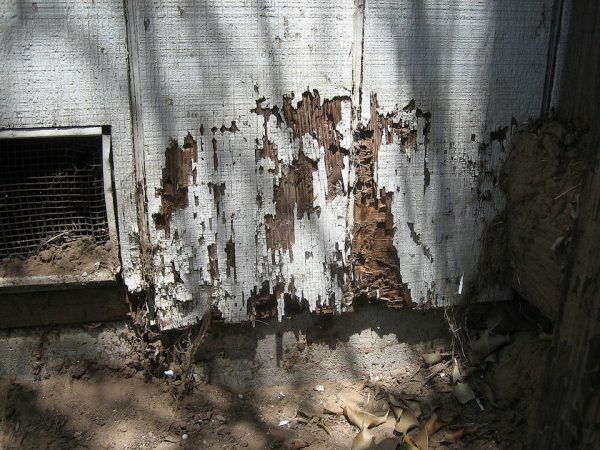 Termites aren’t just unsightly. These insects that can sometimes be mistaken for ants have the ability to demolish the structure of a building within a matter of very short time. In fact, The National Pest Management Association lists termites as a major threat to homes ahead of the fire, flood, and winds, causing Americans over $5 billion in damages annually. Many insurance companies recognize termite damage as such a high threat and cause of property damage that they don’t provide protection against it. It is very important to protect your home from termites. Call Advanced Pest Control of Alabama for a termite inspection today! As a property owner, your best line of prevention is a strong defensive action. Knowing the warning signs and the steps you can take to prevent a termite infestation will help you to protect your property. 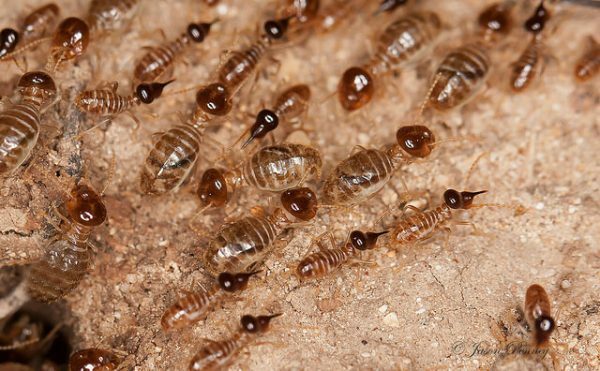 There are two main types of termites that damage homes in Alabama—Formosan subterranean termite and dry wood termite. In Alabama, the one to be most concerned with is the subterranean species which makes its home in colonies in the ground. However, termite activity of both types is high. The Formosan subterranean termite was such a problem that the city of Fairhope had a Termite Watch Program. While Baldwin County is reported to hold the highest activity of Formosan termites, infestations can be found in many areas of Alabama including areas of Huntsville, Cullman, Florence, Jasper, Guntersville, Orange Beach, Gulf Shores, Daphne, Fairhope and Foley. Keep drains clean and free of debris. Hire a professional for termite inspection on an annual basis. Eliminate any moisture problems your home might have. Make sure your plumbing and fixtures are leak-free. Store firewood away from the home, and remove other wood debris such as tree stumps and fallen branches from the property. Even with preventative measures though, termites may still become a problem. Know the termite warning signs. 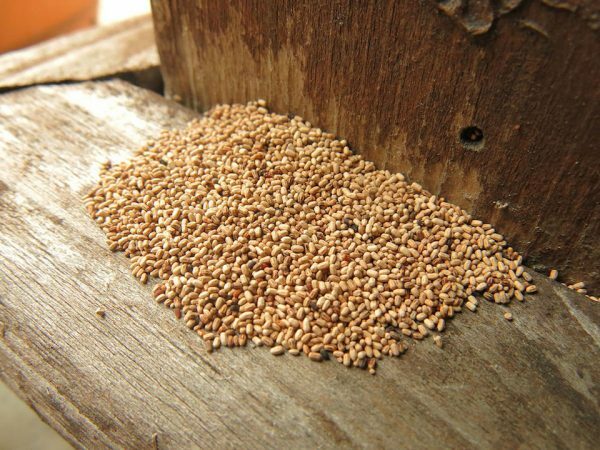 Formosan termites typically swarm in the spring as early as February when the reproductive termites leave the colony to start colonies of their own. Most often, they will swarm on sunny days following a rain. While you may actually see an active swarm or group of termites, it is more likely that you will only see the signs that swarming has taken place. These include wings around window seals, vents, and doors. Termites tend to like moisture, so you may also see dead termites or their wings near bathtubs and sinks. 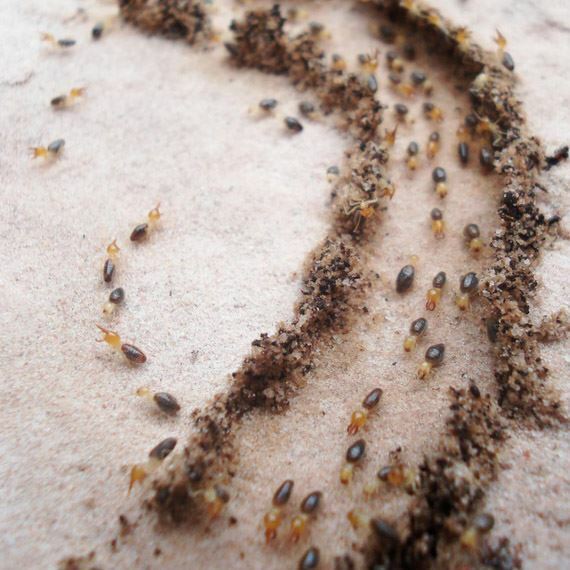 Because it takes about three years for a colony to reach reproductive maturity, if you see swarming, you can assume that the termite infestation is not a new one. Since termites prefer dark areas, you won’t likely see damage to the wood in or surrounding your home. You will, instead, be able to hear a hollow sound in wood that they have fed on. Mud tubes: Vein-like tubes made of mud on the outside walls and foundations of your home are sometimes the work of subterranean termites. You may notice actual damage to the home such as wood that buckles or buckling in floors and ceilings that appear to be water damage. Termites will also eat plaster in the walls and your wood furniture, so you may notice damage there as well. Do you think you might have a termite infestation? This is not a problem you should attempt to fix on your own. Our technicians at Advanced Pest Control of Alabama are Termidor Certified Professionals trained to treat your termite inspection with the best defense against termites. The Termidor termite treatment centers on Fipronil, an active ingredient that meets Food Quality Protection Act standards for use on agricultural crops since 1995. Fipronil only makes up 0.06% of the formula applied to the home. On average, approximately only eight ounces of Fipronil is used for a home treatment. There is no odor, and it is safe to use for your loved ones whether they be children or pets. This termite solution has been used on over four million homes since 2000. It is also an approved termite treatment for commercial and industrial establishments. Termidor is six times more effective than traditional bait systems. 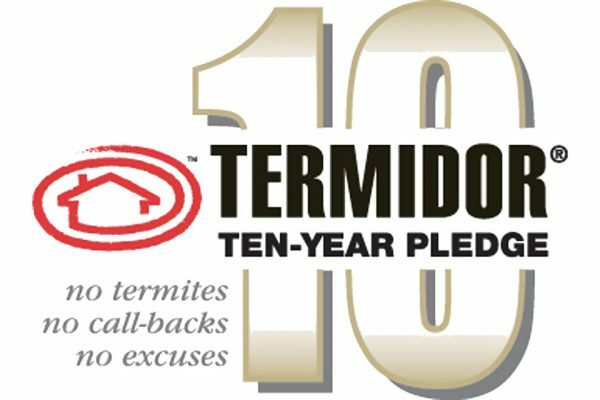 Termidor is a proven treatment backed up with over 15 years of data showing it to be the, fastest, and most effective termite treatment product on the market. It begins working on contact and can eliminate termite infestation completely within three months. Since termites can’t detect Termidor by smell or taste, they have no defense against it. Other termite extermination products can be avoided by the pests. As a result, the termites will both ingest woods treated with Termidor and carry its residue back to the colony spreading the poison like a virus through secondary contact. Why take a chance with other pest control companies, products and slow-working bait systems? 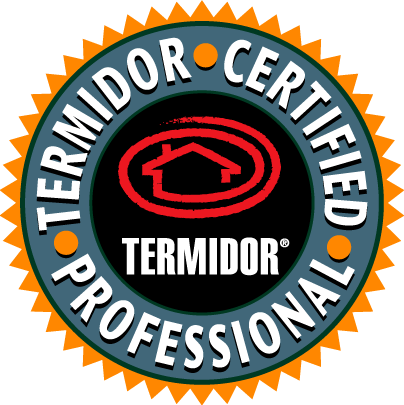 Eliminate your termite problem with a Termidor Certified Professional from Advanced Pest Control of Alabama.